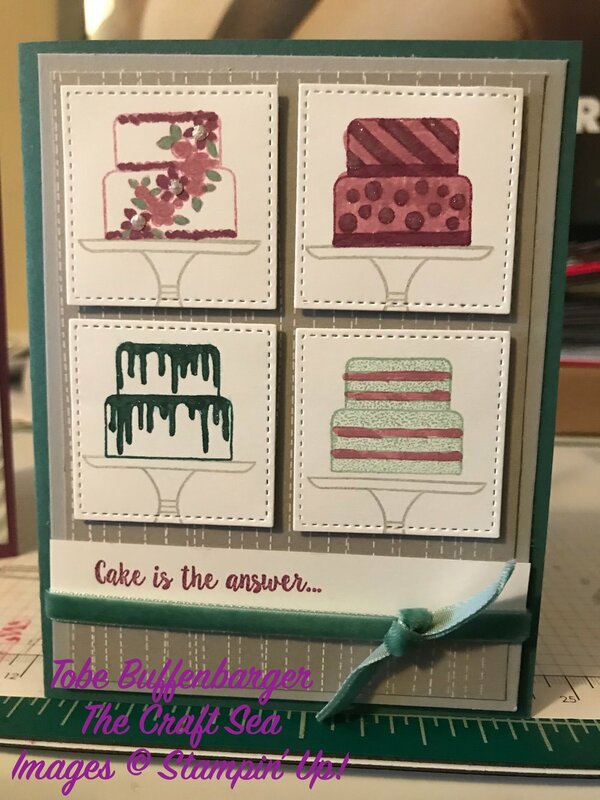 For the first card, I started with the idea to feature the various cakes from the Piece of Cake stamp set on a simple background. 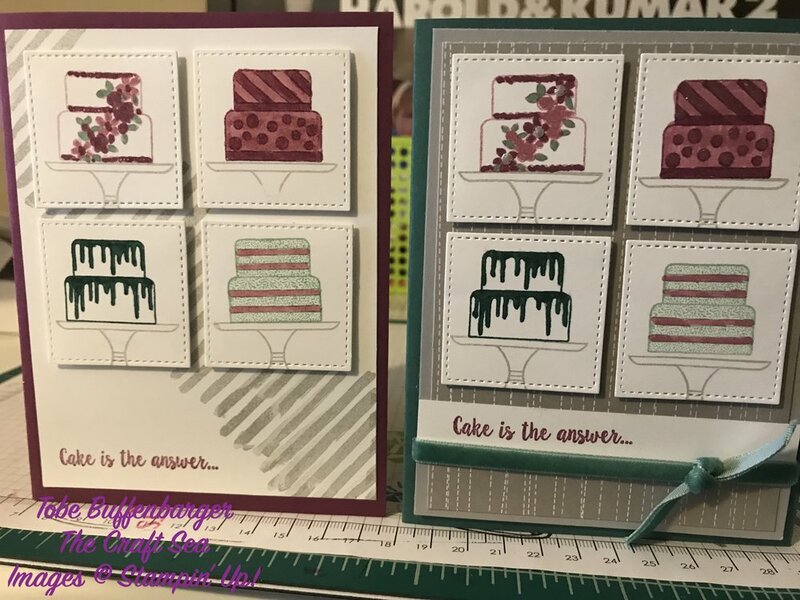 I stamped, colored, and die cut my cakes before adding a background pattern stamp and sentiment to my white layer. It’s a nice simple card just the way it is. But then I stepped the card up! I swapped out the white layer for a piece of Twinkle Twinkle DSP on top of a piece of coordinating Smoky Slate cardstock. From there I added a piece of beautiful Tranquil Tide Velvet Ribbon under my sentiment strip. Finally, I added some embellishment to the cakes. It’s hard to see in this photo, but I added. few pearls to the top left cake and some clear Wink of Stella to the top right and bottom left cakes. Overall, this card has that extra something.